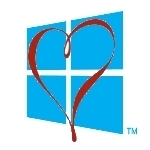 Self professed Apple fan and MAC user Steve Kovash confessed his love for Windows 8 in a post that recently appeared at CNN/Business Insider. I’m excited for the next version of Windows. Kovash echoes the concerns about the Windows 8 navigation learning curve – voiced by many who have documented their experiences with the new OS. However, these concerns are overcome by his appreciation for Microsoft’s ‘bold move’ into the future. …unlike any operating system I’ve ever used. It’s the perfect hybrid of old and new. While Apple attempts slowly to merge its mobile operating system into the desktop with new iPhone-like features, Microsoft made a bold move and jumped ahead to the future where most computing takes place on touch-friendly smartphones and tablets. It’s enough to make an Apple fan like me drool. tips Apple, Micorosoft, Microsoft Windows 8. permalink.